My research builds work in the anthropology of Islam on tension and fragmentation in reformist and traditionalist discourses to examine how Javanese Muslims negotiate the different and potentially incommensurable epistemologies of traditional Sufism and modernist reformism. It will do so by studying the discourses and traditions around genealogical lineages, as genealogies can be regarded as particularly dense nodal points where different epistemologies and ideologies intersect, and specifically highlight how these lineages are drawn on to make authoritative claims. I am doing my fieldwork in Yogyakarta. AIFIS assisted me greatly in obtaining my research visa and making the process smoothly. They explained the process to me, told me what all the necessary steps were, and facilitated my communication with RISTEK. When RISTEK asked me to get an additional sponsor, AIFIS found a suitable person and established contact for me. Thanks to their help, I was able to complete all necessary procedures in Jakarta in one day and could immediately travel to Yogyakarta, my field site. 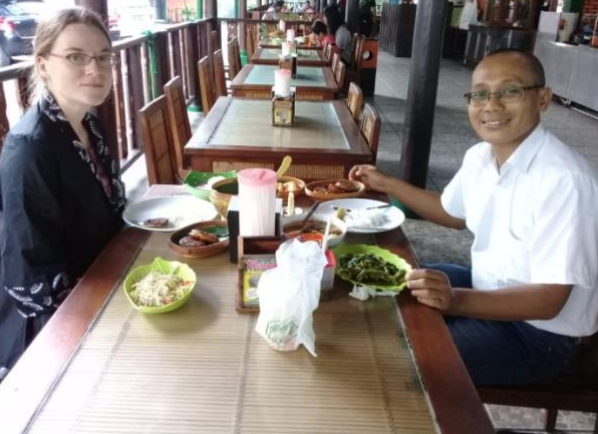 In Yogyakarta, AIFIS connected me with their local representative who was available for help and advice, especially with the necessary procedures with local government agencies. I am very grateful to the AIFIS staff for their help.